Last week designers hit the runways in Paris to showcase their autumn/winter 2012 couture collections. 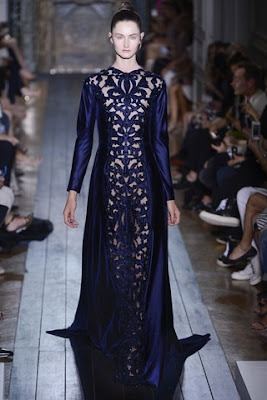 Couture fashion week is one of my highlights in the fashion calendar, I love seeing what the designers have come up with each season and admiring their lavish creations on the catwalk! These are some of my favourite collections from last week. 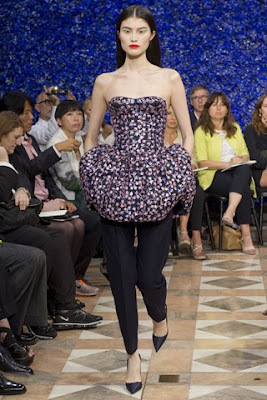 Raf Simons did not disappoint with his highly anticipated debut couture collection for Dior. Sharp tailored looks with blazers and oversized peplum waists were worn over glamorous cigarette pants with pointed heels. 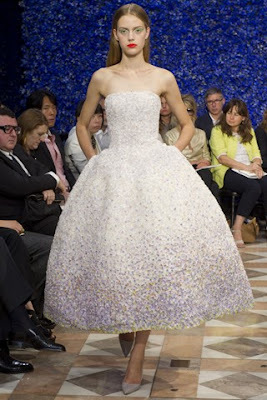 I love Dior's feminine designs with cinched in waists creating the perfect silhouette. Models had slicked back hair and sported bright red lips. Stunning red carpet ready gowns with sequin and beading detail brought the show to a close. 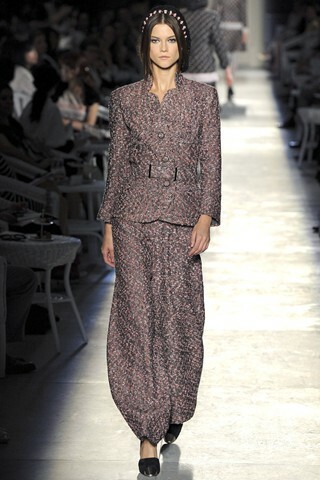 Karl Lagerfeld paid homage to Coco's style with Chanel's couture collection this season offering classic suits and boucle style jackets. I loved the coloured tweeds updated for the season in soft pinks and lilacs and a range of patterns styled with feminine bows mixed with modern kaftan cuts. Suits were cinched in with metallic waist belts. Models wore sparkling tights with metal toe capped shoes. They even made beanie hats look glam with slouched netted styles adorned with sequins and tiny flowers! Giambattista Valli brought the outdoors alive on his couture catwalk. The collection was based around nature with reds and greens featuring heavily in their colour palette. 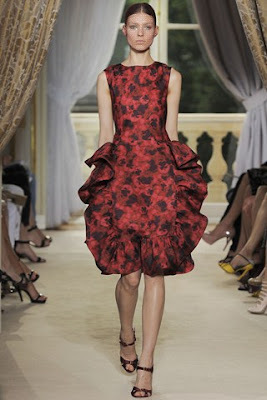 Floral prints were emblazed over layered dresses with large ruffled collars and waists. 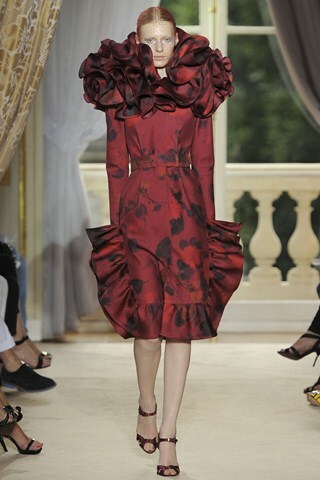 I love the exaggerated ruffles throughout the collection which was one of my favourites across the week. In keeping with the back to nature theme models wore butterflies on their lips and in their hair alongside gold leaf jewellery. 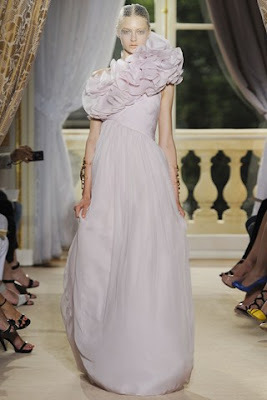 They also wore veils over their faces which was a trend seen across couture fashion week. 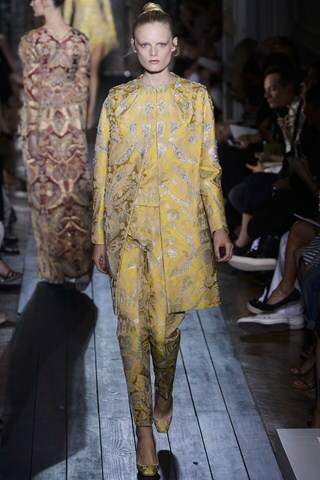 Valentino is another of my catwalk favourites. They continuously produce stand out lines with the most beautiful dresses! Their couture collection was pure understated elegance. They featured soft feminine designs in sheer fabrics and luxurious silks with cut out detailing. Hair was pulled back and styled in buns. Capes are set to be a big trend this autumn/winter as seen on the fashion week catwalks back in February, Valentino impressed with this yellow silk cape styled over matching patterned cigarette pants. 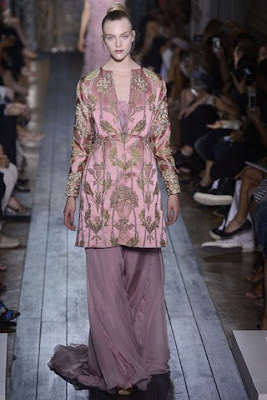 One of my favourite pieces in their couture collection was the pink printed jacket with gold brocade detail worn over a flowing floor length gown. 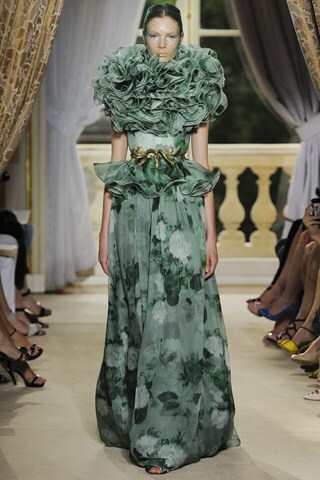 Who were your couture favourites? Wow - there are some really gorgeous and interesting pieces! ah love when new trends start to emerge! great post. I have a new post up about vision boards if you get a chance to check it out, would love to know what you think,thanks! 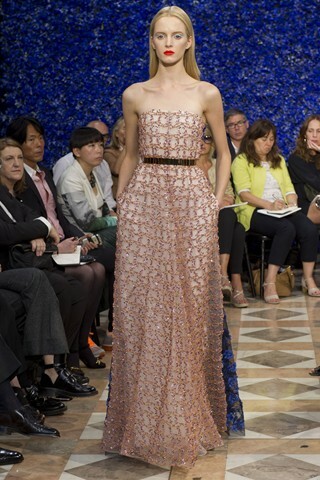 Isn't the Dior collection amazing! The two bottom ones from Chanel are really catching my eye right now. But I can't peel them off from the gorgeous Giambattista Vallis! Especially that gorgeous pink one shoulder! I have been paying less and less attention to couture fashion week over the years but whenever I see posts like these, they remind me how awesome the collections can be. 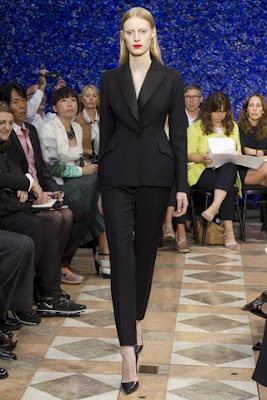 That super sharp tailored suit from Dior is such a stunner. I am actually shocked that I'm not that impressed with Chanel =O normally they are so classicly perfect! 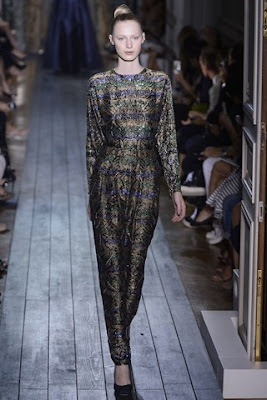 I'm much more feeling Dior and that beautiful last dress from Valentino! Some really interesting stuff - some of those dresses look SO heavy!